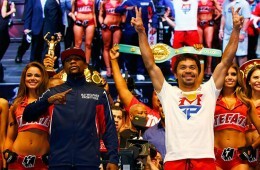 Boxing is a full contact, combat sport in which players often face a high risk of sustaining injuries. 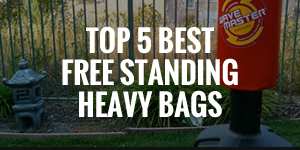 These can occur most frequently during training and it will make everyday tasks a bit more difficult. Therefore, it’s essential that you take the right measures to prevent injuries from occurring as much as you can. 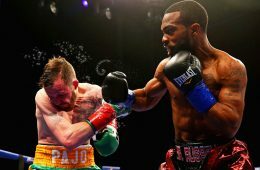 Before you can learn how to prevent injuries while boxing, you must know the common boxing injuries. This will help you to take extra precautions. Cuts or Lacerations: These occur more frequently during professional fights rather than during training or sparring, though they can still happen. 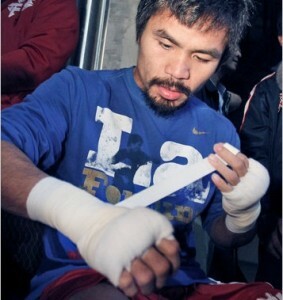 During a bout, cuts are treated by cleaning the wound and applying petroleum jelly on it to prevent bleeding. 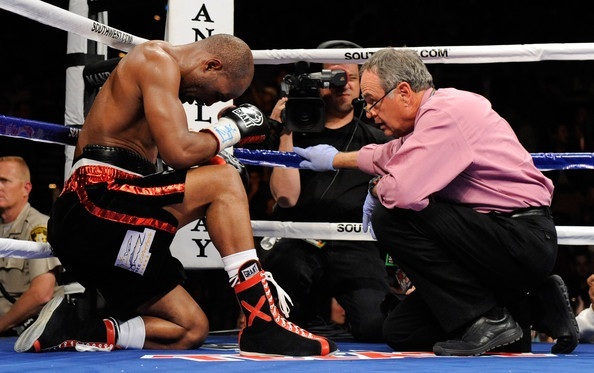 Nosebleeds: This is one of the most common boxing injuries, and are caused by small lacerations inside the nose. Bruises: When boxers sustain a high impact hit, they usually suffer from bruises. Bruises occur when blood vessels beneath the skin are damaged, such as a “black eye.” The soft tissue of the rib cage can get easily bruised by body shots. Applying a cold compress on bruises can reduce inflammation and pain. Fractures: Boxers often have fractured bones, usually in the nose, wrist, hand, jaws, and rib regions. Fractures involving the metacarpal bones are quite common among boxers and are referred to as a “Boxers Fracture“. Fractures require immediate and extended treatment. Concussion: Heavy impact to the head can shake the brain and lead to a loss of consciousness, vomiting, disorientation, short term memory loss, dizziness, and headaches. It is important to consult a neurologist when you suffer from a concussion. Shoulder Dislocation: As a result of a heavy blow to the body or due to improper hand movement, the humorous bone of the arm can get detached from the shoulder blade or scapula. This is referred to as a shoulder dislocation. It is extremely painful and requires immediate hospitalization. Sprains: During bouts and training, frequent rapid movements can result in muscle and ligament sprains. Boxers are more susceptible to straining muscles in their back, shoulders, arms, knees, and ankles. During sparring, you should always wear the proper protective gear. Even if it’s just light sparring, because it’s easy to sustain injuries such as cuts within the mouth. Here are some precautions that must follow while using protective gear. Head Guard: Make sure that you your head guard is properly cushioned, feels comfortable, easily breathable and easy to see out of. 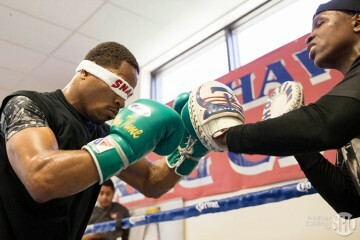 Boxing Gloves for Sparring: If you’re below 147lbs, you and your sparring partner’s gloves should be at least 14 ounces. If you weigh more, you should opt for at least 16 ounces. Sparring gloves have extra padding in comparison to training gloves, so ensure that you have the right type. 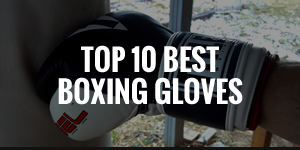 You can find the 10 best rated boxing gloves here. 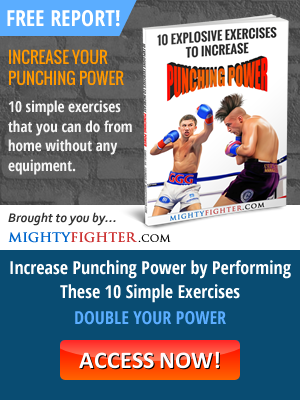 Boxing Gloves for Training: You may want to get a separate pair of gloves for the heavy bag and other types of bag work. 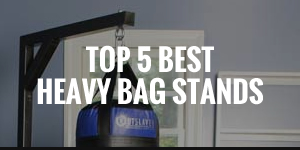 You’ll often be hitting hard and frequent on the bags which requires more protection, so bigger gloves are recommended. Groin Guard: For obvious reasons, get a bigger groin guard with more padding and that’s comfortable. 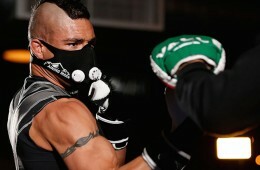 Mouth Guard: This is definitely a must for sparring. 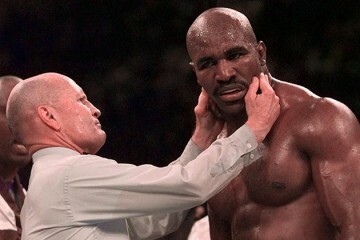 You should never enter the ring without a custom fitted mouth guard. Cheap ones usually don’t give you the proper mold, so get one that has a good reputation and name behind it. Top only is fine, but there’s also an option to have top and bottom if you prefer. 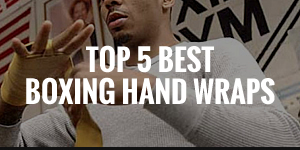 Hand Wraps: These are also are must no matter if you’re sparring or just doing bag work. Ensure that they’re 180in so that they’re long enough to properly wrap around your hands to give proper protection to your hands. Preferably, you should go for a semi-elastic type. 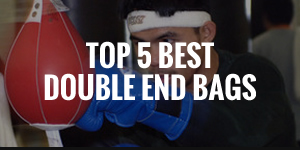 You can find the 5 best boxing hand wraps here. Always use the proper hand wrapping technique. There are many videos on the Internet that show various techniques to properly wrap your hands. Whatever method you choose, ensure that there is adequate padding on your knuckles and wrist. Always start wrapping with your hand stretched out fully, so when to make a fist, it tightens up, but make sure that you don’t wrap it too tight otherwise it’ll reduce blood flow and will be extremely uncomfortable. Wrapping between the fingers will provide good support and prevent hand injuries better. To find out how to properly wrap your hands, click here. Boxers face a high risk of muscle strain and injury. When you do regular stretching exercises your muscles and ligaments become longer, and hence your range of movement increases. 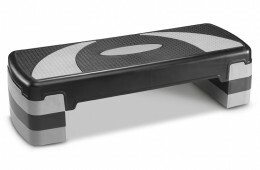 This decreases your risk of muscle sprains and strains. You should concentrate on stretching exercises aimed at specific muscles, such as hamstring, quadriceps, and shoulder muscles. Also, don’t forget to do your warm up exercises before sparring, which your trainer should make it mandatory. Resistance bands are a great way of loosening, stretching and strengthening your muscles. I highly recommend Bodylastics Resistance Bands for their outstanding construction and materials. When the skin inside the nose is dry and brittle, it is more susceptible to cuts and lacerations. Steam inhalations, saline water nose drops, and natural moisturizing nose sprays such as Aloe Vera nose sprays can effective methods of conditioning the skin inside the nose. By moisturizing the skin inside your nose before sparring, you can make yourself less vulnerable to nosebleeds. Your hands are the most precious tools but they’re also the most susceptible to injury. 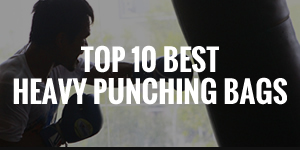 To minimize damage to your wrists and fingers, learn how to throw a punch correctly. Make sure that you turn fist when punching so you’ve aligned your wrist correctly. 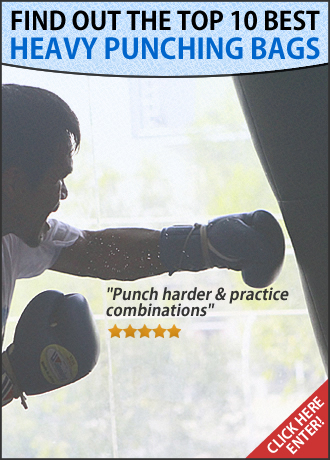 Also, when striking, ensure that you’re aiming for the knuckle of your middle finger to make contact first. Many times, fighters injure their thumbs because of the way they throw their punches, which often causes fractures and broken bones. 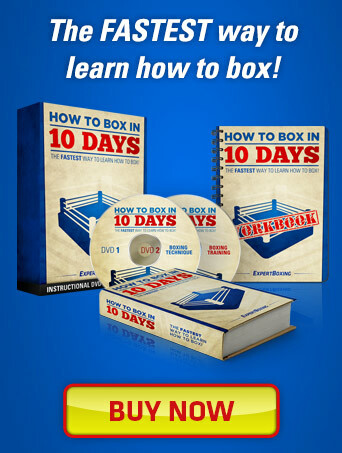 To learn how to properly throw punches, check out the How To Box In 10 Days course, which takes you through boxing fundamentals step-by-step. Apply a thin coat of petroleum jelly on your face, which is often the target of jabs. This will make the skin slippery, supple, and elastic thus reducing the probability of cuts and bruises from punches. 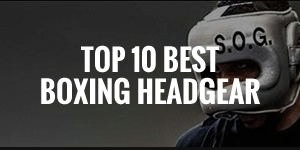 It’s most useful if you’re fighting in the professional game where no head guard is allowed, but facial injuries are known to occur during sparring also. 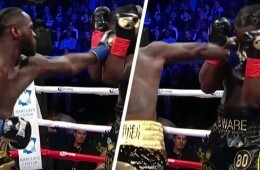 Defending yourself from blows is essential to minimizing injuries. You must have excellent stamina and endurance to be able to withstand intense training procedures. If you have high level of physical conditioning, then you will be able to go through the bouts with a clear head and defend yourself by maintaining quick footwork and agile reflexes. If you’re tired, it’s difficult to move around, but remember to keep your guard up at all times. All athletes need to have a nutritious diet that helps their body to heal and remain strong. Your daily diet must include high levels of calcium, protein, and Vitamin D. Regular calcium intake will strengthen your bones. This will help in reducing the risk of fractures and help the bones to heal faster in the event of a fracture. It is also important to drink plenty of fluids to keep your body hydrated at all times. In between bouts and during training, boxers should take sports drinks to replenish the electrolytes and water lost through sweating. If you fail to do this, your body will become dehydrated and you will feel fatigued, resulting in a higher likelihood of head injuries such as concussions. 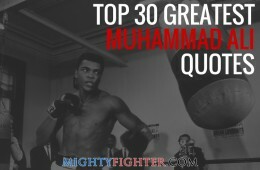 The 30 Day Fighter’s Diet guide has helped amateur and pro fighters to manage their weight effectively. Too often, fighters ignore a pain is until the point where it gets really bad, when it could’ve been prevented just by consulting a doctor. If for any reason you’re under no circumstance to visit a doctor, then do your own research on the Internet because more than likely, someone else would’ve experienced the same pain as you. They can offer you advice and how to make it better or even cure it altogether. It’s fine to train hard and push yourself to the limit, but if you feel any sharp pains anywhere during training, then stop to find out what the problem is. It may be a serious injury or could lead to one if you’re not careful. Let it heal before resuming your training. 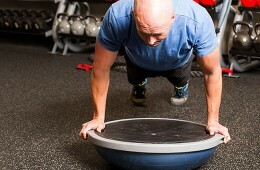 When you do push yourself, usually you’ll feel the aches the next morning. It’s a good sign because you know that you’ve trained hard, but just remember that if you are going to doing any form of exercise (if you can), go easy and then your muscles will recover much faster. The best way to prevent injury during sparring or competition is to know your game well enough to avoid getting hit too much. Spend a lot of time on improving your defensive skills and drill good habits into you so that it slipping, parrying, blocking and ducking punches become subconscious.